While Asian hardwood is native to Brazil, it is cultivated in a variety of tropical locations. Also known as rubberwood, parawood or para rubber tree, Asian hardwood lumber is a byproduct of rubber plantations, produced from older trees that no longer produce latex. Asian hardwood is light-cream in color, medium in density and used in the manufacturing of inexpensive furniture and household items. Asian hardwood lumber is rarely used by domestic woodworkers. Asian hardwood has a tendency to warp, twist or split unless seasoned to a stable condition. It is not commonly sold as raw lumber in the United States but may be found in imported furniture and household accessories, often marketed as plantation hardwood. Asian hardwood is somewhat characterless without stain. Its light color appears similar to domestic maple, but its grain resembles that of beech. Asian hardwood has a hardness rating of 960 on the Janka hardness scale, comparable to black cherry and mahogany. Hardness is one of the chief indicators of durability and wear-resistance. A ranking of 960 is relatively low. 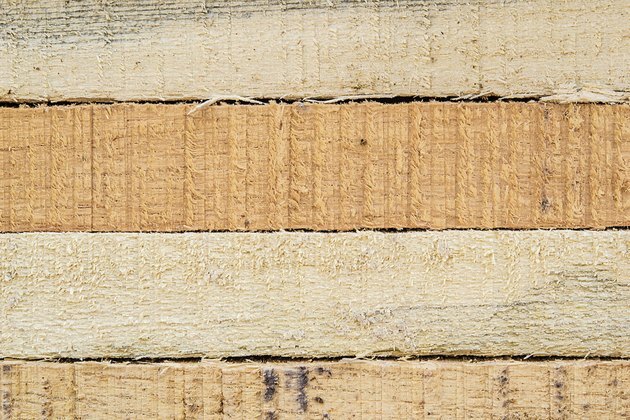 Rubberwood is perishable with little resistance to rot, decay and insects. The wood is also susceptible to fungus, which causes grayish streaks to form in it. Asian hardwood furniture often is finished with lacquer and can be cleaned with a dampened cloth, wiping it gently to remove dust and dirt. 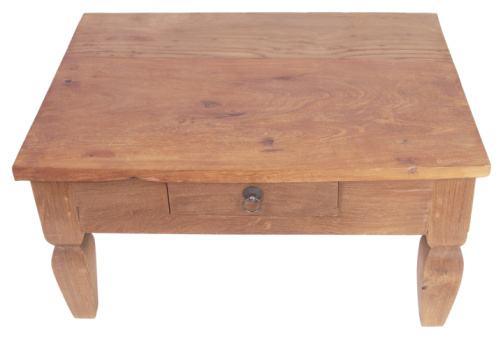 Keep Asian hardwood furniture dry, and wipe up spills immediately. Avoid placing Asian hardwood furniture near moisture-producing appliances, such as humidifiers, evaporative coolers or heating and cooling vents. Excessive moisture leads to expansion and contraction of the wood and can cause a lacquer finish to blush or turn white. Also, don't place Asian hardwood furniture in direct sunlight, which can bleach and dry out the wood. Don't confuse Asian hardwood with Asian plywood, which is also marketed as blondewood or whitewood plywood. This type of affordable imported plywood typically is whitish in color and low-grade in quality. It is usually manufactured with a variety of unspecified and imported veneers. Asian plywood is cheaper and lighter than comparable plywood and often has inconsistencies in dimension and other flaws.